As each day turns into weeks, the year of 2019 is in the making, however in the Archdiocese of Philadelphia, the Extraordinary Year of Mission is in full swing. 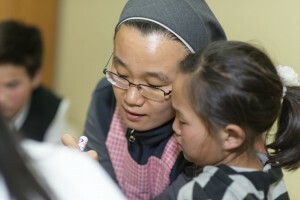 Pope Francis, has reminded us throughout his papacy, that “All are invited to confirm our baptismal identity in a personal encounter with the living person of Jesus Christ, who invites us to be His witnesses in the world.” To ensure this emphasis and with a purpose of reawakening awareness of the call to Mission in Missio Ad Gentes, Archbishop Charles Chaput approved for the Archdiocese of Philadelphia an Extraordinary Year of Mission which began in October, 2018 through October, 2019. Broadly speaking, we need to allow ourselves to be moved by the Holy Spirit to go beyond our daily concerns, offering our prayers and gifts – so that others may come to know and to believe in Jesus Christ. Specifically, for those of us who prefer itemization, this movement can be categorized into three sections: prayer, support and education to be able to inspire others. Venerable Archbishop Fulton Sheen, a Pontifical Mission Societies’ National Director [1950 – 1966], recognized the importance of prayer tied to Mission. 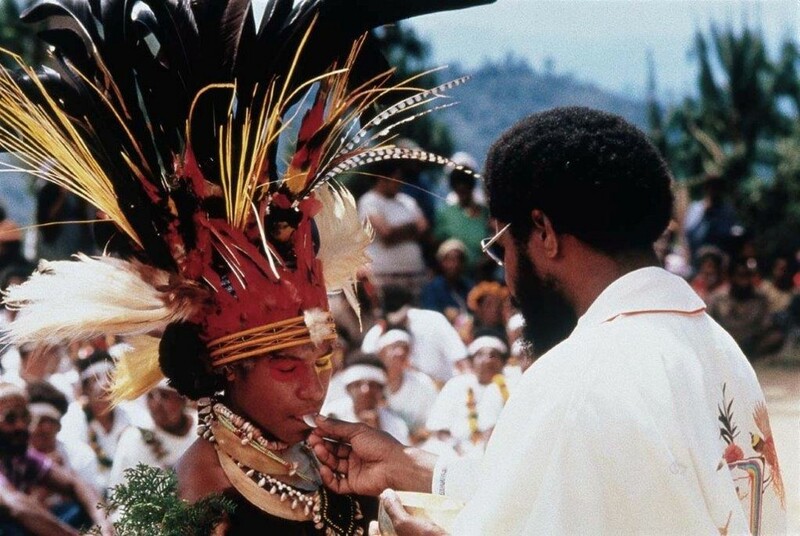 To this end, he developed the World Mission Rosary. Each decade of the Rosary is of a different color to represent each of the five continents or the world from the viewpoint of the Missions. Praying the Rosary, Archbishop Sheen said would, “aid the Holy Father and his Societies by supplying him with practical support, as well as prayers, for the poor distressed Mission areas [today 1,111 Dioceses] of the world.” Sheen continued, “It all comes down to this: the world will change when we change. 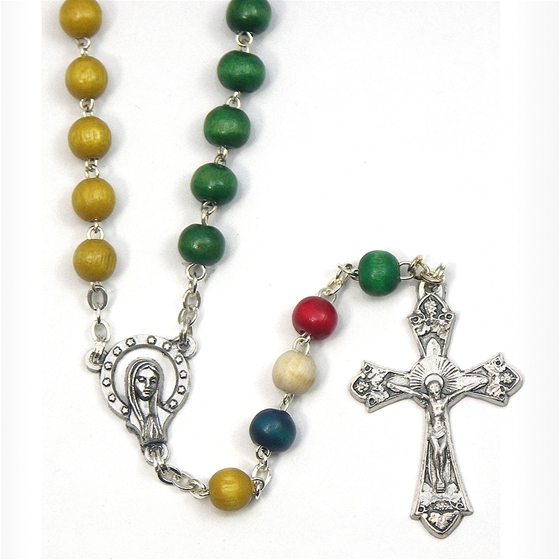 But we cannot change without prayer, and the power of the Rosary as a prayer is beyond description.” In this Extraordinary Year of Mission, consider reciting a Rosary daily or weekly, or at least a decade and contemplate the works of Missionaries whom are still bringing the word and hope of Jesus to the world. 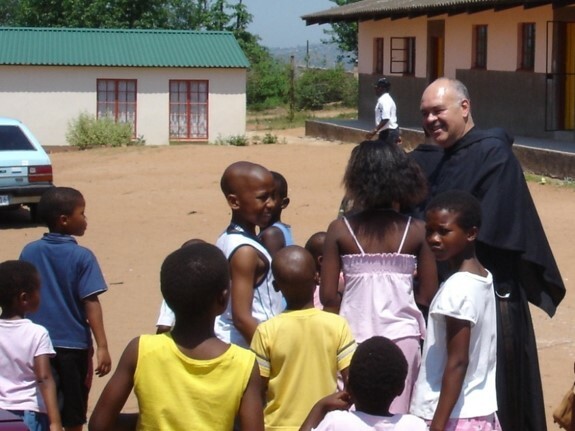 The Pontifical Mission Societies exist to support the preaching of the Gospel to every nation and to care for & support the Church and its people, especially where Christianity is new, until they are able to be self-sufficient. 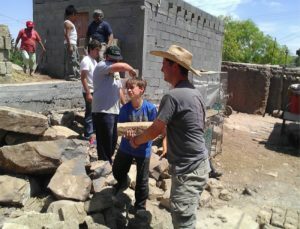 As it was said, you may not be able to travel to a Mission land, but you can learning more about the work of the Missionaries and share this information with others, who in turn, would do the same. 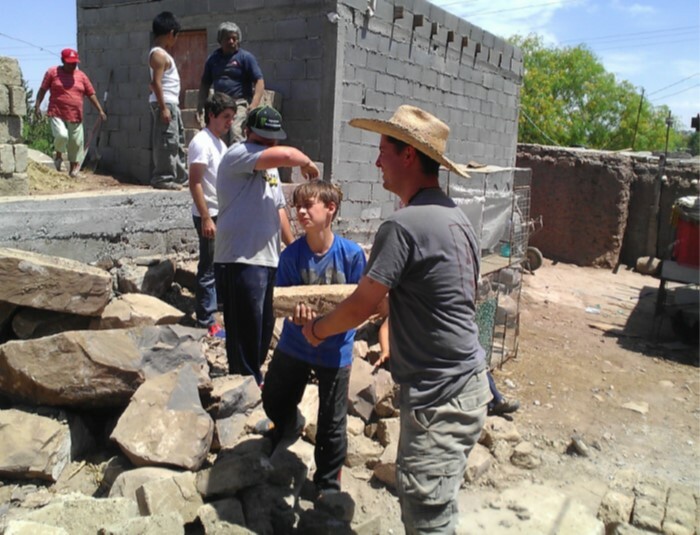 Read the Mission stories on our website, sign up for our email updates, attend a Mission presentation at your parish [or ask your pastor to schedule one!] or contact the Archdiocesan office of the Societies to receive free updates are some of the ways to learn more to tell others. Educating blind children and orphans in India. Building a chapel for a growing community of faith in Ghana. Digging wells for clean water for a village in the Philippines. Helping afford text books, technology and housing for a Seminarian in Uganda. Providing transportation for priests serving many parish outstations in Cote D’Ivoire, Africa. These are just a few of the many thousands of projects that your prayer, support and telling others can help Missionaries and the people they serve in their communities. Consider what you can do to be Missionary in this year of 2019 – the Extraordinary Year of Mission. The educational components and activities for Philadelphia’s Extraordinary Year of Mission is being sponsored, in part, by a grant provided by the Archdiocesan Educational Fund.